Personal Feed: Will generate a subscription feed of only your approved leave requests. 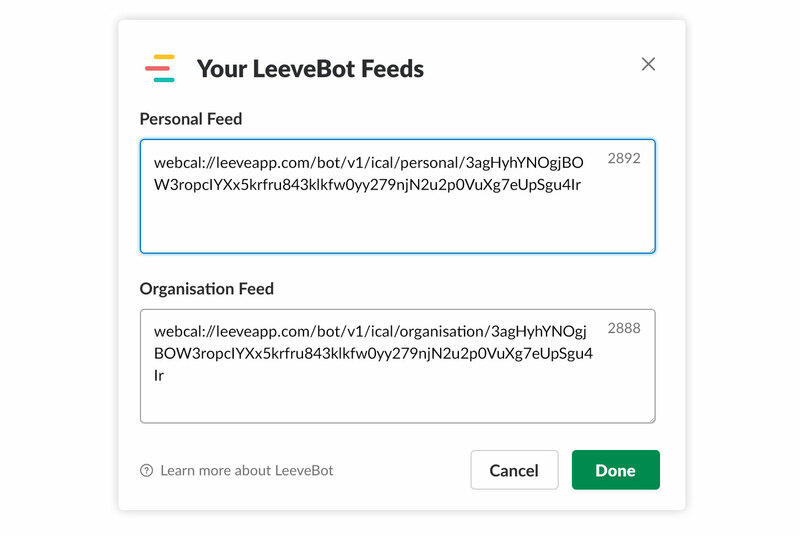 Organisation Feed: Will generate a subscription feed of all your organisations approved leave requests. Clicking either of these options will prompt you to add the feed to your calendar automatically. Set a name for the subscription and an auto-refresh interval and you&apos;re good to go. 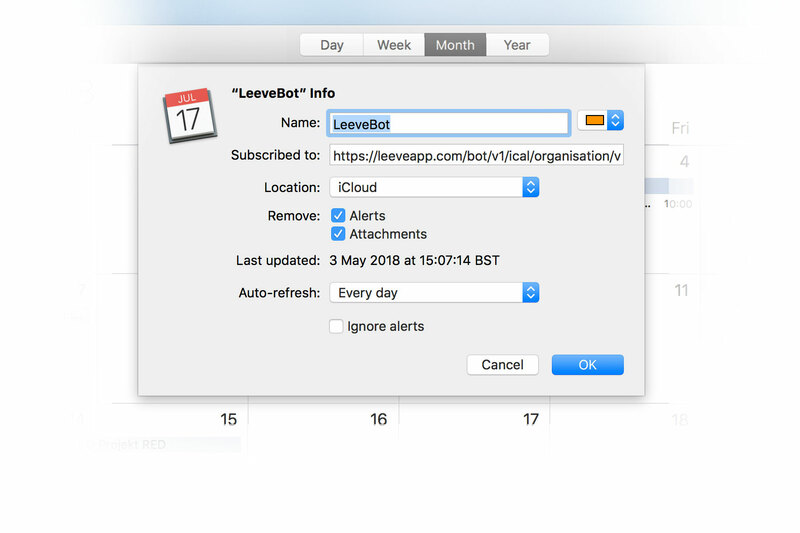 The users leave comment and who approved the leave request are added to the calendar event description. Select and copy the URL of the feed that you would like to add to your calendar. 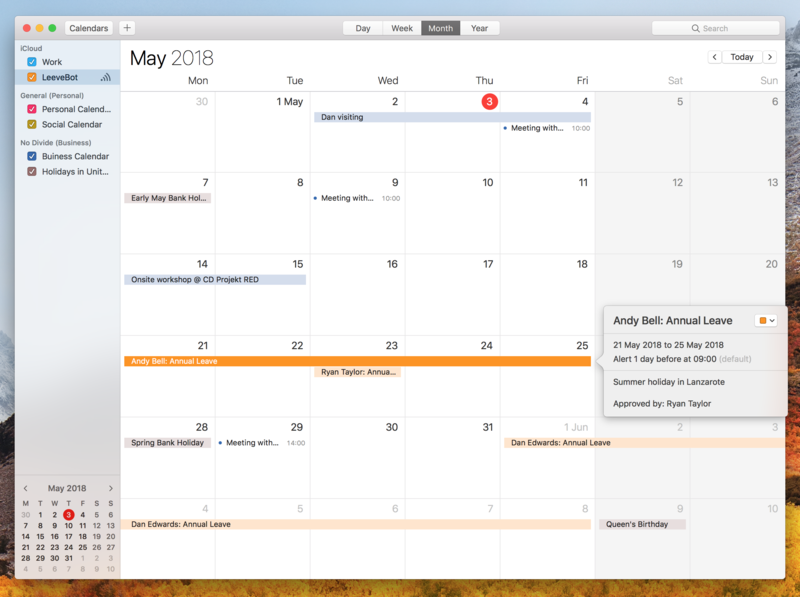 Note: You can use settings to make changes, such as the name of your calendar, permissions, notifications and more.